Manchester United could be in luck as one of their defensive targets Raphael Varane is keen on leaving Real Madrid for a transfer to Old Trafford, according to Diario Gol. 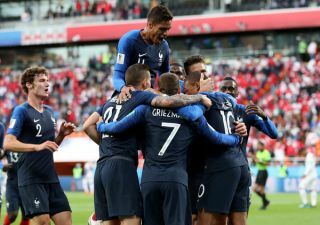 The France international, a World Cup winner with his country last summer, is one of the finest players in the world in his position and seems the ideal candidate to come in and be a leader in this United defence. The Red Devils have had an inconsistent season, with players like Eric Bailly going backwards, while others like Phil Jones simply remain some way off the required standard for the club. Varane would undoubtedly be a step up for MUFC, but Diario Gol claim Real Madrid would likely use this interest to try to get Paul Pogba in a swap deal. This would not be ideal for United, with Pogba proving one of their most important players this season, improving hugely since Ole Gunnar Solskjaer replaced Jose Mourinho as manager. Other defenders appear to be on the club’s radar, with Mundo Deportivo also linking them with Barcelona’s Samuel Umtiti.